Mint brings a ton of flavor to cocktails, and it's a versatile ingredient. Whether you're using it as a garnish or bringing its flavor to the fore, it's the perfect addition to refreshing and delicious cocktails. This refreshing frozen tropical cocktail is a cross between a mojito and a piña colada - with a bit of passionfruit tossed in. A blender full serves three to four. For a fun tropical twist, serve it poolside in a hollowed out pineapple and add an umbrella. 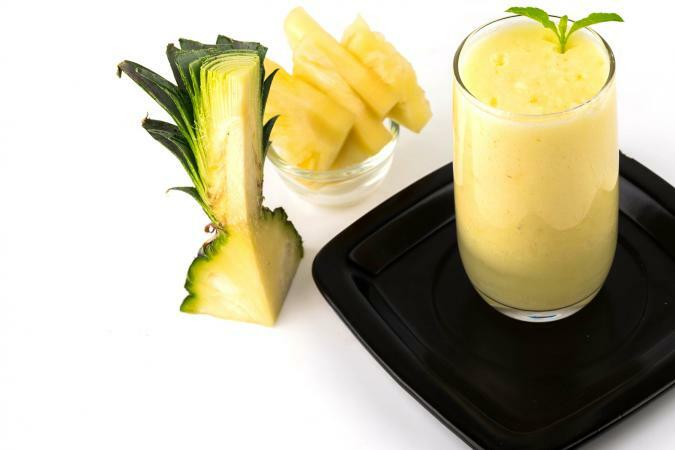 In a blender, combine the pineapple, mint, rum, coconut cream, passionfruit nectar, and ice. Blend until smooth. Pour into a hurricane glass and garnish with mint. Fans of the Moscow mule can up their game by adding refreshing mint to orange juice and ginger beer for a flavorful cocktail. This serves one. 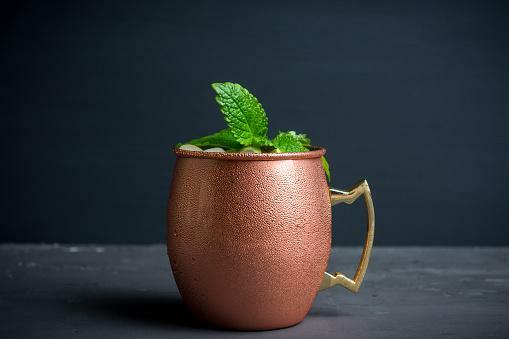 In a copper mule cup, muddle the mint leaves with the orange juice. Add the vodka, ginger beer, and ice. Stir to combine. With flavors of the south, this tasty julep is refreshing with mint but adds the flavors of peaches and brown sugar for a really delicious cocktail. It makes one cocktail. In an old-fashioned glass, muddle the mint, brown sugar, and peaches. Add the bourbon and stir until the sugar is dissolved. Add the crushed ice and fill with seltzer. Mint is a refreshing cocktail addition that allows you to make both classic and modern cocktails. A mint julep is the classic Southern cocktail. You can also enjoy a chocolate mint julep or a virgin mint julep. 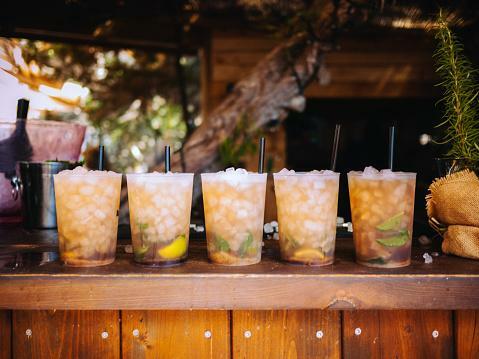 Mojitos combine mint with simple syrup, rum, and lime juice. For a spicier version, enjoy a jalapeno mojito. If you don't have fresh mint on hand, you can use crème de menthe in a Girl Scout cookie cocktail. Looking for something frozen? Enjoy a pineapple mint margarita. A mint chocolate martini combines Godiva chocolate and crème de menthe. A stinger mixes cognac and white crème de menthe. Fresh mint is the perfect ingredient for refreshing summer cocktails. Grow a little in a window box, container, or garden and make mint a flavorful ingredient to add to your favorite cocktails.